Black cats, haunted houses, and spooky ghosts — oh my! For those of us that love Halloween, these words excite us! Embrace the aura of that holiday with your love and dive into that Halloween spirit that brings you joy. Every town has their creepy histories, so discover your local haunts with your sweetheart for creative, fun weekend date ideas. Bond over scary and chilling stories out there or at home! Ghost stories have been around for generations to either scare or comfort the living. 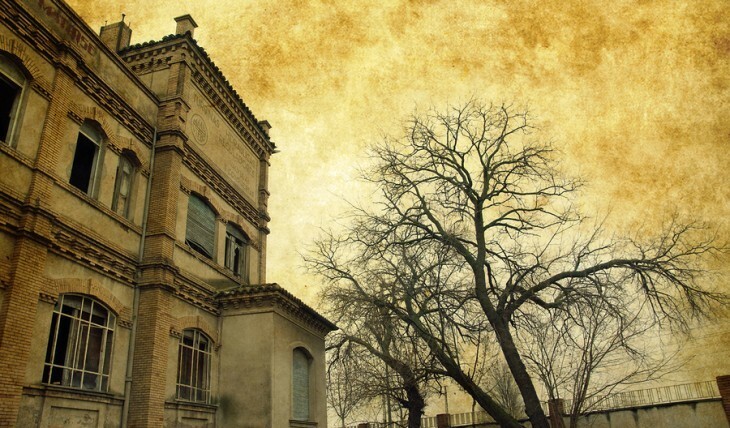 Research your town’s history and immerse yourselves in its haunted mysteries. Some small towns have the best mysteries to tell. For example: Melbourne, Florida, has a haunted mansion on US Highway 1 that hosts a storytelling event at the edge of property each year. Rumor has it, Old Man Willis still hangs around the property and has made alleged appearances. Together set up a spooky story sight of your own in the front yard: Dress up with your partner as a scary famous couple, like Morticia and Gomez Adams or Frankenstein’s Monster and his bride, and read to the trick-or-treaters as they pass by. Not only is this date idea one you can enjoy with your partner, but you can enhance the night for the children too! If you’re staying in for the night, follow this relationship advice: Pick out some ghost stories and legends to test out for yourselves. Show Bloody Mary who’s boss and confront her in the mirror with your lover at your side (spooky… and romantic?). No matter how old you are, there’s always a voice in the back of your head that gives you the heebie-jeebies! For a more intimate date idea, prop up some blankets and create a makeshift tent in the middle of your living room. Turn off all of the lights except for a flashlight that you both pass back and forth while telling each other tales. Embrace your inner child and get cozy! And finally, bust out Halloween’s best tradition: the candy! Feed your sweetheart the holiday sweets — give your honey sugar. You and your love will be laughing the night away as you trade ghost stories and exchange candy-flavored kisses. What other cool things do you do for Halloween? Tell us in the comments below!